Few, if any, people have influenced angling quite as much as Richard Walker. He was a pioneer, matching science with extraordinary watercraft in order to catch the uncatchable. 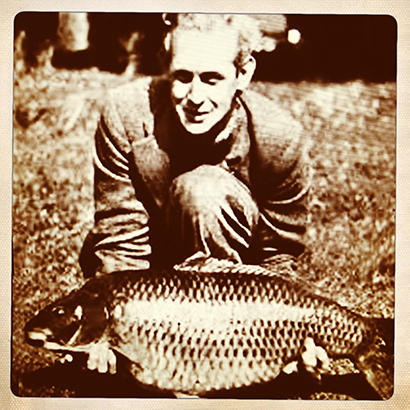 His capture of a 44lb carp in 1952 created shockwaves that still ripple through the angling world today. Clarissa, as the fish was later named, added 18lb to the existing record and remained unbeaten for nearly 30 years. Walker was a prolific writer, penning under his own name and the pen name ‘Water Rail’. He contributed to the Fishing Gazette, wrote a 30 year column for the Angling Times, penned numerous books, developed the Arlesley bomb in order to catch astonishing perch, and crafted the ultimate in cane – the Mark IV. He remains and angling legend.